"I guess I'll always wonder, but I know I'll never ask- The Good Son"
Let's see... to start I love acting and everything to do with it. Acting is my calling(lolz)! Anywayz, I LOVE Liam Aiken, Macaulay Culkin, and Rory Culkin. My favorite movie (The Good Son) actually stars Macaulay Culkin (view video on my page). They're such wicked actors, all of them!!!! 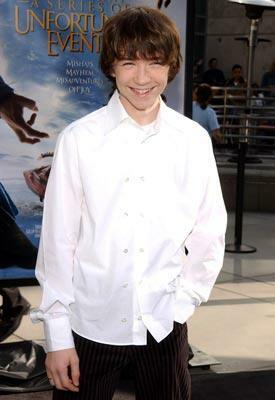 My dream is to act in movies that star Liam Aiken, Macaulay Culkin, and Rory Culkin, I love them all! Aside from Liam, Macaulay, Rory, and acting, music rules my life! I love Nickelback, Rage Against The Machine, Slipknot, System of a Down, Rob Zombie, Ozzy Ozzbourne,and much, much more! Those are just a FEW of my many bands! I want to be a rockstar and/or an actress when I grow up. Well, guys play a role in my life, but they don't over run it and I never get the one I want(but I can dream, can't I? LOLZ). I am the type of girl who is tough, but does not go looking for fights. I am funny, and people love to be around me, there is never a dull moment! So, if you like the same music or wanna talk about acting, post a comment! Before Sidekicks & iPods; PlayStation2 or X-BOX. Before the 5 hours of homework you put off every night. & when you rented VHS tapes, not DVDs. & paid $3.50 for a movie. when 2Pac & Biggie were alive. hopscotch, slip-&-slides, hula hoops, skip-its. getting the privilege to sit in the front seat of the car. Salute Your Shorts, Are You Afraid of the Dark? My So Called Life, Wishbone, Bill-Nye the Science Guy. I Dream of Jeanie, The Facts of Life, & I Love Lucy. & another dollar a miracle. when Toys 'R' Us overuled the mall. escaped us until it's all brought back. These r some of my fav. Icons!!! These are some of my fav. Avatars! This is a video dedicated to my absolute favorite actor, Liam Aiken! This has the song All I Want For Christmas, just to get in the holiday spirit! It's PERFECT! This is a fan video to one of my fav. actors, Rory Culkin! This is him through the ages, he's 19 now. But he was 13 in Signs and 15 in Mean Creek. Enjoy! OMG this movie is so cool! This is my absolute fav. movie, The Good Son! It stars Macaulay Culkin(hint the note above it! lolz Macaulay Culkin is the blonde boy, not the brown haired 1, that's Elijah Wood! LOLZ). This song is also one of my favs, Diary of Jane by Breaking Benjamin! Also check out the "Getting Away With Murder" Version! Login or register to add rawkinsk8erchick as your friend!